Free full-time training, irrespective of income, anyone? Yes, it exists, although, of course, you do have to be an outstandingly promising actor to get in. The National Youth Theatre Rep Company works with 15 young actors aged 18-25. Actually it’s 16 this year because, Joe Duggan, NYT external affairs manager, tells me, they couldn’t decide between the last two. 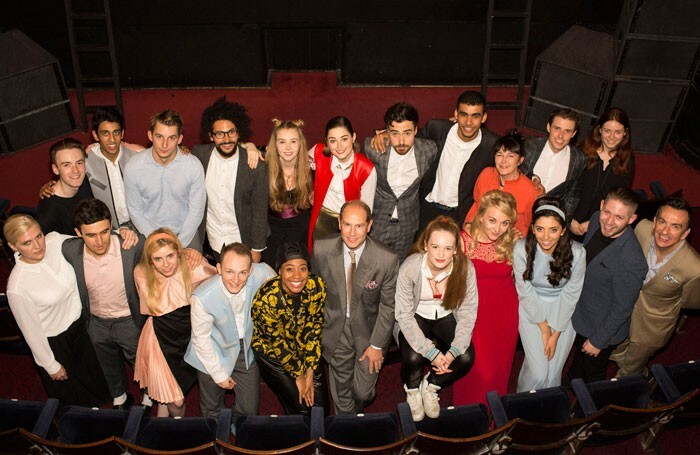 They train full-time from March in preparation for a three-month West End rep season in the autumn following auditions and casting in July and August. It’s like a cross between an intensive drama school course and traditional learn-on-the-job rep. In 2014, The Stage chose NYT for its school of the year award, largely because of this imaginative development. I had the pleasure (mostly) of seeing this year’s three plays, Wuthering Heights, Consensual and The Merchant of Venice, last week at the Ambassadors Theatre in London. I also saw the 2013 and 2014 seasons. Questions bubble up. Can such a short training really work? Do these people get signed with reputable agents? Do they go on to decent professional jobs afterwards? The answer to all three questions appears to be yes. The training is effective because NYT puts the students through rigorous workshops and classes in partnership with supportive organisations such as the National Theatre, Royal Court and Headlong. And don’t let’s forget the proof of the pudding: it is on stage at Ambassadors Theatre until December 4. That’s partly why every single one of the 30 students who went thought this experience in 2013 and 2014 (following a “shoestring pilot” in 2012) were signed up with an agent at the end of it – and in many cases there were several agents interested. “It isn’t too difficult to get agents to come to the shows because there are so many opportunities across the three months. And each actor plays a range of contrasting roles in three plays. There are 56 parts for the 16 actors this time,” Duggan explains. He and I agree that, for demonstrating what a versatile actor can really do, this beats a one-off showcase. And as for professional work, former NYT rep casts are popping up all over the place. Kate Kennedy, who wowed me and everyone else present with her performance in last year’s otherwise rather wonky piece, Selfie, is about to play Helena in A Midsummer Night’s Dream for BBC TV with Matt Lucas, Maxine Peake and Elaine Paige. Grace Chilton, who gave us a talented Emcee-like porter in Macbeth last year, is at the Crucible, Sheffield, in Pride and Prejudice. Fabian McCullum (You and Me and the Apocalypse, 2015) and Sope Dirisu (Humans, 2015) have done a lot of film and TV work. There are two NYT rep alums in London’s National Theatre’s Our Country’s Good and another in the same organisation’s forthcoming Comedy of Errors. Duggan pauses for breath, as he reels off names and shows, but his point is made. And the news gets better. This training is entirely free to participants because NYT is able to offer each actor a bursary. This year there is additional money from the Clothworkers Foundation, which means some people can be offered additional funding to help with, for instance, travel. So it’s pretty inclusive – especially as two of the 2015 trainee actors have come through the NYT’s social inclusion programme Acting Up, which works only with young people in proven need of support. The downside – and there has to be a tiny one – is that this form of training isn’t open to absolutely anyone. Only NYT members are eligible. But consider the statistics. NYT auditions about 5,000 young people aged 14 and over every year. It offers places to 500. That means a one in 10 chance of acceptance – so you are statistically far more likely to get into NYT than some drama schools where there are often 50 applicants for each place. It still means you have to be selected, against very fierce competition, for the rep company, but you are, at least, in with a chance. As a training model it all makes very good sense to me at a time when traditional drama school costs are spiralling upwards. Are, say, regional venues with thriving youth theatres paying attention? Isn’t there scope for them to do something like this too? Or what about big organisations such as the National Theatre, the Royal Shakespeare Company, and Shakespeare’s Globe? You have the premises and could easily run a training rep season ‘under’ your main shows (The NYT work runs under Stomp at the Ambassadors). Yes, you’d need philanthropic people and organisations to fund bursaries, but I suspect the money is out there if you present an appealing enough proposal. Meanwhile, Duggan tells me that, because 2016 is NYT’s 60th anniversary, something expansively celebratory is planned for next year subject to funding. Watch this space. 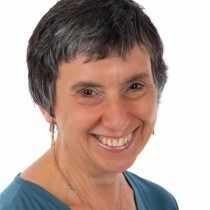 Susan Elkin is a journalist specialising in training and education.